Hajigabul Gushchulug, a poultry factory in Azerbaijan's Hajigabul district, has started exporting eggs to Qatar, a source at the company told Trend . The source noted the volume of deliveries amounted to 1,000 packages or 36,000 eggs. 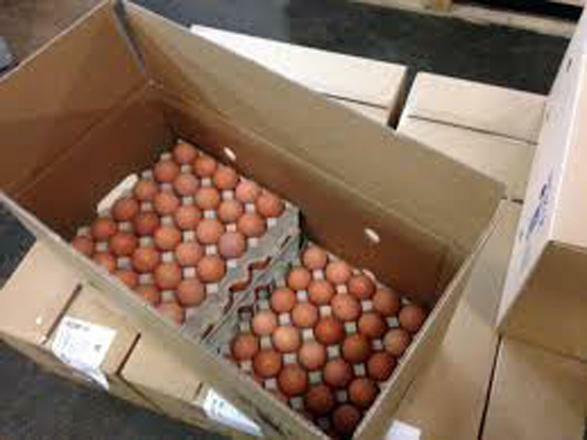 "We expect to increase the number of eggs exported to Qatar to 40,000-45,000. The factory produces about 30-35 million eggs per year," the source said. The source added that the factory's eggs are shipped to Iraq, Iran, and Afghanistan. Previously, the factory also produced chicken meat, broiler chickens. Manufactured products have a certificate of conformity issued by the State Committee for Standardization, Metrology and Patents of Azerbaijan. The factory uses equipment from Russia, Ukraine and Turkey.